THE $800,000 Petra Diamonds had received in VAT refunds from the Tanzanian government was the tip of the iceberg as $14m was still outstanding, said the company’s outgoing CEO, Johan Dippenaar who nonetheless believed that Petra was unlikely to fall under the same regulatory scrutiny as larger mining firms operating in the country. The UK-listed diamond company had moved the outstanding VAT refunds to long-term receivables in its accounts – an indication that although the refunds were not imminent, they would be recovered, eventually. 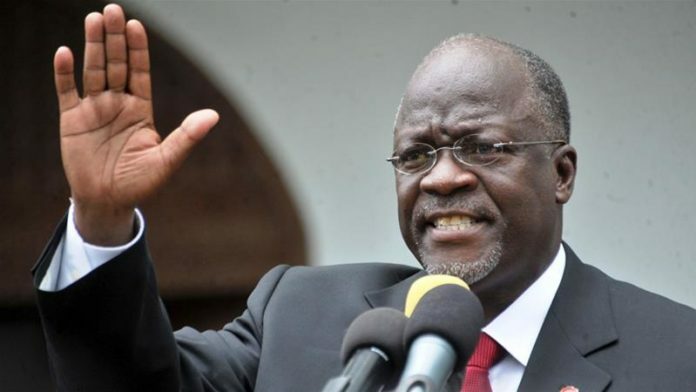 John Magufuli was elected president of Tanzania in 2015 on an anti-corruption ticket, and whilst he has made improvements in some respects, his administration is known more for surprising policy changes, especially in the mining sector. Last year, he passed new mining legislation that allowed for the state to claim free-carry interests in foreign mining companies. His government is also embroiled in a long-standing dispute with Acacia Mining which has been prevented from shipping gold amid claims it has under-declared export values for about two decades. Petra was not exempt from this kind of activity. In September 2017, it suspended production at its Williamson mine in Tanzania after government authorities seized a parcel of diamonds marked for export. The mine has been open for more than 75 years but it still has potential for a further 50 years of operation, according to Petra. The mine produced about 213,000 carats in Petra’s 2016 financial year and there were plans to take production up to 350,000 carats annually following an expansion. Dippenaar said the current situation made it impossible to sanction further new investment in the country. “In all things politics, it is difficult to understand. People voted for that person to look out for their interests, but quite often that’s not what the politicians are doing. For now, though, we are concentrating on running the mine (Wiliamson) on a day-to-day basis. Williamson is turning out 40-year production records, but we won’t make additional investments”. Williamson is currently producing some 1,000 carats worth of diamonds daily, its best rate since about 1975, Petra said during its annual results on September 17. Dippenaar couldn’t say when the embargo on the parcel of Petra’s diamonds would be released. “We’ve been through a number of discussions and orders to show how clean the books are, so hopefully this will go towards rebuilding trust,” he said. Dippenaar doubted the firm would come under the same pressure as Acacia or AngloGold Ashanti, potentially. “We are small compared to Anglogold or Acacia which have turnovers of about $1bn which compares to our $80m. We are fairly small,” he said. Petra CFO, Jacques Breytenbach confirmed Petra intended to hedge about 50% of its production – about two million carats – in order to secure a rand of not lower than 14 to the US dollar. “It will be quite a mix on the hedge,” said Breytenbach when asked how the company would construct the mechanism. “The main aim is to protect the floor at about 14 to the dollar with an upside to 16 rands to the dollar,” he said. Miningmx is a digital publication which provides independent news and analysis related to the African mining sector. The publication does not republish the content of other news vendors and focuses on producing best content through its network of independent journalists.